Pistachio lovers, rejoice! 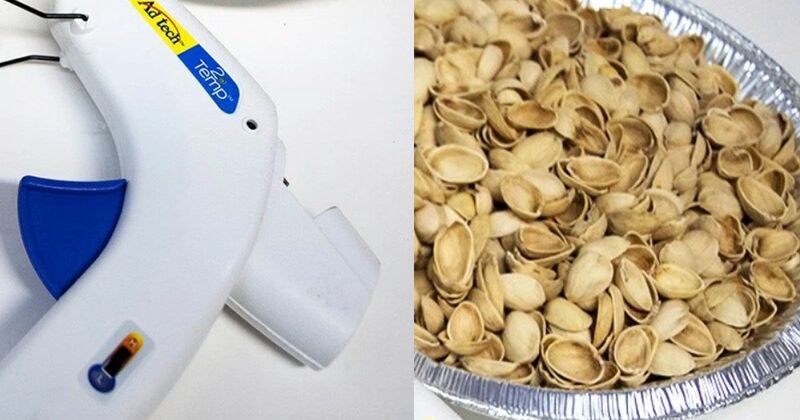 There's finally something useful to do with all those leftover shells. Instead of tossing them in the rubbish or your compost pile, use these tiny shells to create extraordinarily pretty. If you thought cracking open those nuts kept your hands busy - these projects are sure to prove otherwise. But, if you're looking for a project that's fun, creative, and totally unique - look no further. 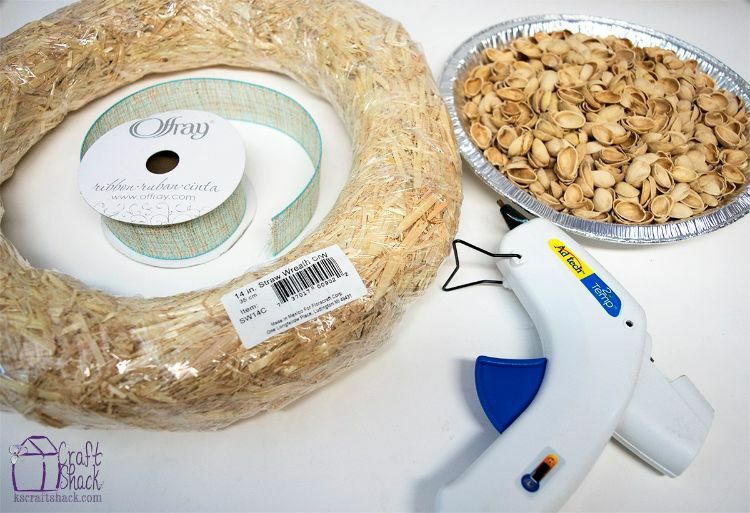 So get a head start and crack open some nuts while you check out these 3 DIY projects. What's great about this project is that the materials are super easy to get your hands on. And when it's all finished your guests are going to have no idea the stunning wreath you've created was from old pistachio shells. 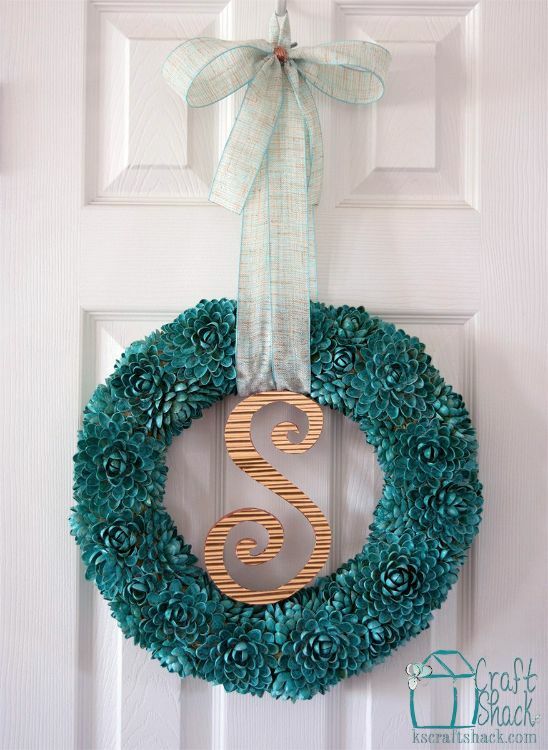 This K's Craft Shack wreath looks like something out of a design magazine or a fancy boutique. 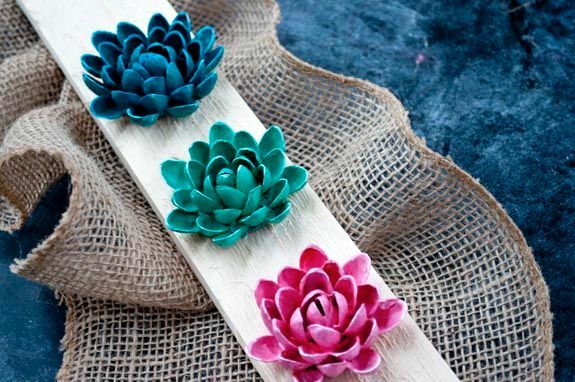 The shells emulate the look of succulents, which are really in style right now but quite pricey - so this project is a great alternative to get a high-end look but save a few bucks. 2. DIY Hanging "succulent garden"
As mentioned before, succulents are all the rage these days. But even the fake plastic ones can get be expensive. 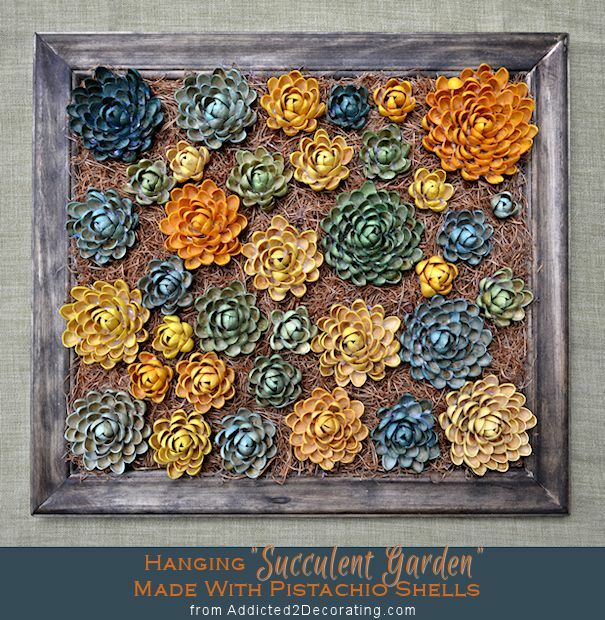 We love this Addicted 2 Decorating project because the pistachio shells look very lifelike - and the 'garden' frame they're hanging in only adds to the organic feel. This Clumsy Crafter project is just too cute! These pistachio leaf flowers look like dahlias, especially painted with those bright, saturated colors. These would be perfect stuck around a boring old picture frame, a wreath, or even at the base of a candle holder. What's great about all 3 of these pistachio projects is there's room for creativity. These pretty little flowers and succulents can spruce up just about anything, and make it look like a million bucks. Don't forget to share these fun, and crafty projects with your friends!